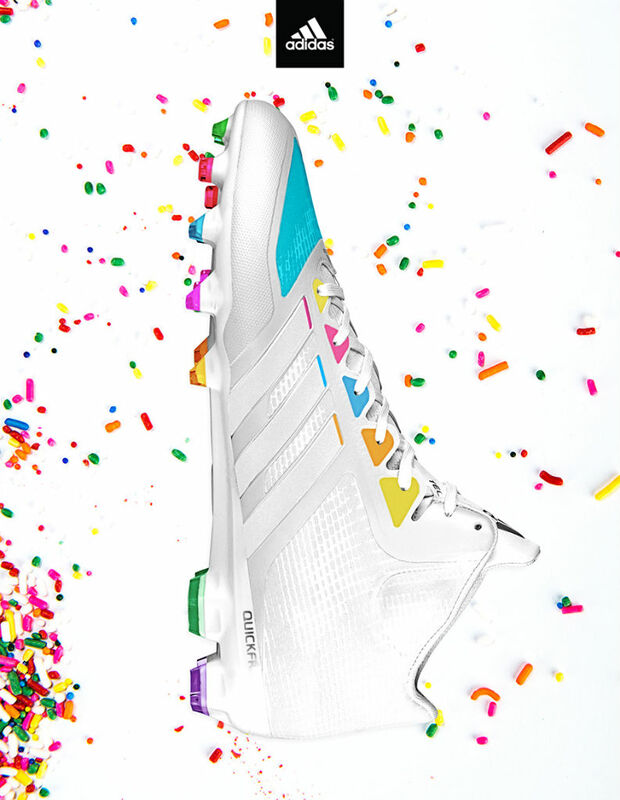 Special CrazyQuick and adizero 5-Star 2.0 cleats for the two NFL stars. 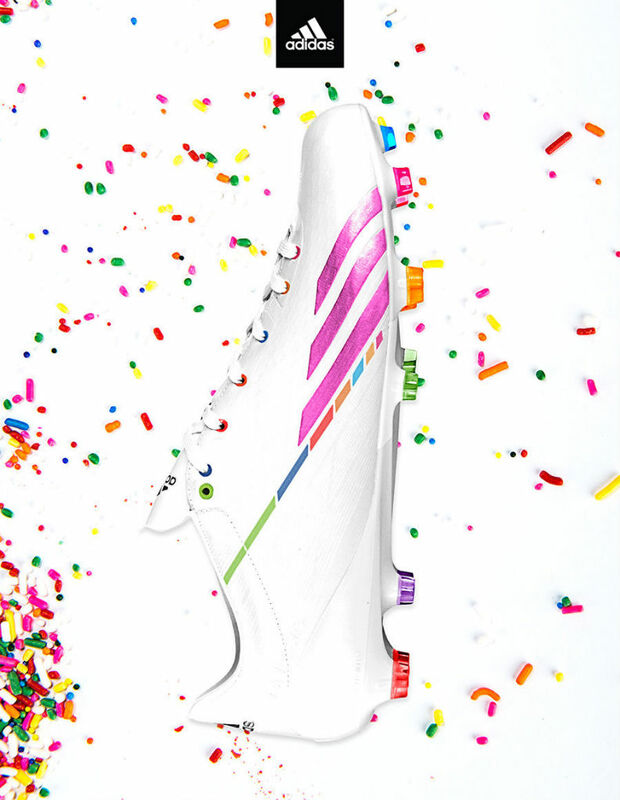 Celebrating Robert Griffin III (23) and DeMarco Murray's (25) birthday's today, adidas designed special CrazyQuick and adizero 5-Star 2.0 cleats for the two NFL stars. Set to launch this spring, the CrazyQuick features a QuickFrame plate, which includes QuickStuds (improves traction during cuts and side-to-side motions), SprintStuds (increases toe-off traction and allows for foot rotation) and BladeStuds (helps players stop on a dime so they can get out of their cut faster). Weighing in at just 6.7 ounces, the adizero 5-Star 2.0 Low is the lightest cleat in football and is designed to make the game's fastest players even faster. The updated single-layer synthetic SprintSkin II and SprintWeb provide lightweight stability and support for quicker cuts and changes in direction. Check out both of these special birthday make-ups below and stick with Sole Collector for more information as we move closer to launch.